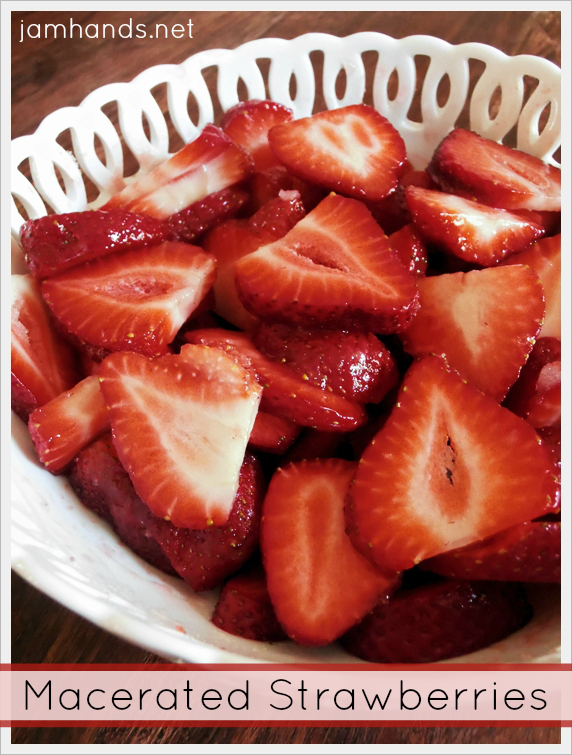 As we are heading towards Spring and Summer, I wanted to include a quick recipe, if you could call it that, for Macerated Strawberries. If you are wondering what Macerated means, Cookthink has a good description. It only takes a few minutes to prepare and makes a perfect side dish for any meal of the day. If your strawberries aren't very sweet it is a quick way to add a touch of sweetness. A tasty addition to this would be a handful of washed blueberries, which we often add. Note: If your strawberries are very ripe and sweet, you may want to add a bit less sugar, around 1 Tbsp. instead of 2. 1. If you have not done so, prepare the strawberries. 2. 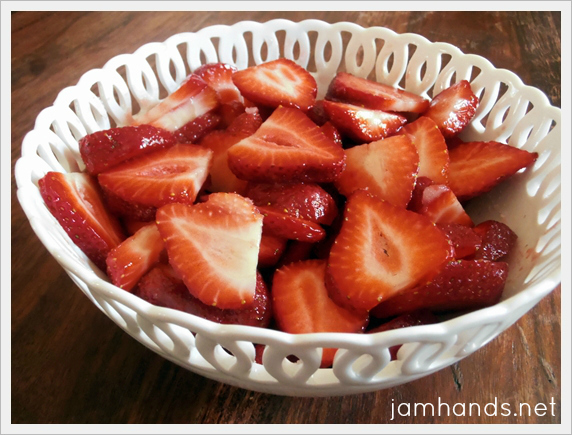 Combine the sugar and strawberries in a mixing bowl and stir to combine. Let sit at room temperature for 30 minutes. Cover and transfer to the fridge to chill. My family LOVES macerated strawberries and I'm so jealous of everyone who is enjoying these wonderful berries already! We still have about 6 weeks to go!